UB40 was formed in Birmingham, England in 1978. They have been a mainstay in Reggae music for over 3 decades. 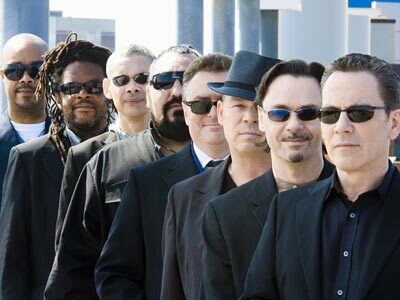 UB40 is best known for the hits, "Red, Red Wine","Can't Help Falling in Love" and "I Got You Babe". They have sold over 70 million records and placed over 50 singles in the UK. The initial line-up was formed in a suburb of Birmingham during the summer of 1978 and comprised of Robin and Ali Campbell on guitar and vocals, Earl Falconer on bass, Brian Travers on sax, James Brown on drums, Norman Hassan on percussion and Michael Virtue on keyboards, together with MC Terence "Astro" Wilson. Another of the Campbell brothers, Duncan, declined to join the band, thinking they wouldn't get too far, but would seamlessly replace Ali on lead vocals thirty years later!